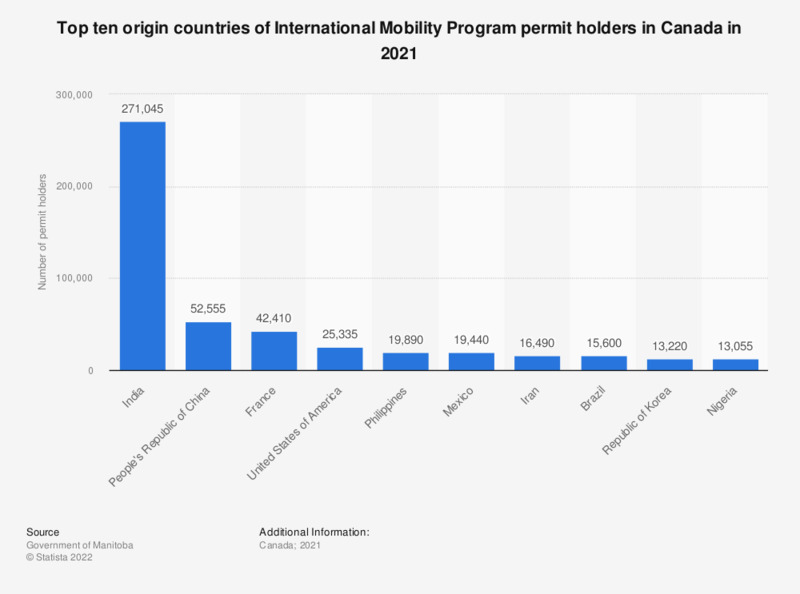 This statistic shows the top ten origin countries of International Mobility Program permit holders in Canada in 2016. The largest amount of IMP permit holders in Canada, at 30,872, came from the India in 2016. The International Mobility Programs include all work permit applications in Canada that do not require a Labor Market Impact Assessment (a document Canadian employers must submit before being able to hire some foreign workers that proves the worker will have a neutral or positive impact on the economy). Applicants are eligible based on reciprocal benefits enjoyed by Canadians (such as those under NAFTA) and broader positive cultural and economic impacts on Canada. How sympathetic or unsympathetic would you say you feel towards those who come to your country who lack political or religious freedom in their country? Do you currently have a fixed-term contract?